inch rounds. Stack the rounds between pieces of wax paper. 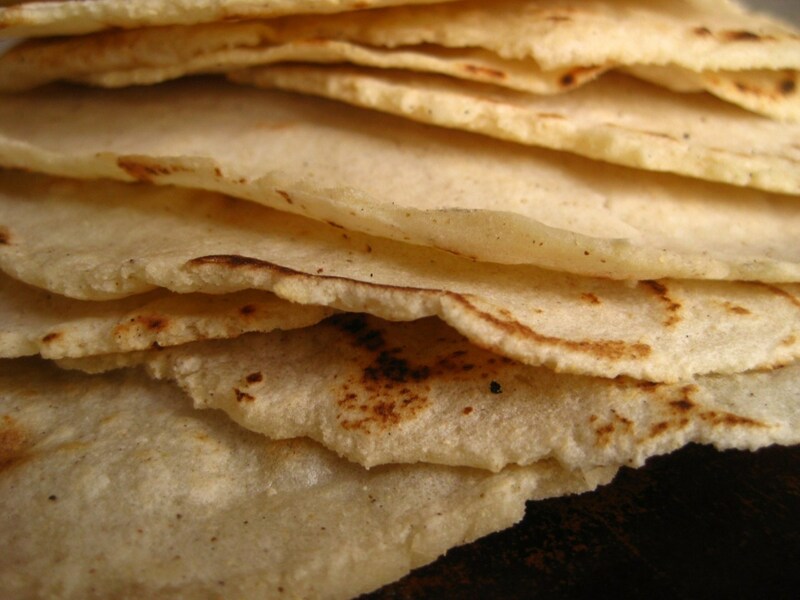 the tortillas, 4 or 5 at a time, in foil, and keep them warm in the oven. sides with water, and heat, one at a time, in a skillet for a few seconds.